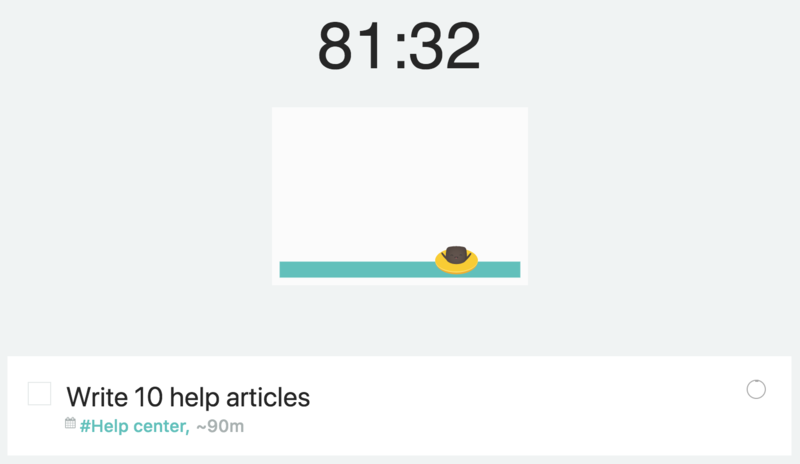 This strategy uses the time estimates and time tracking to create a fun game-like work mode. 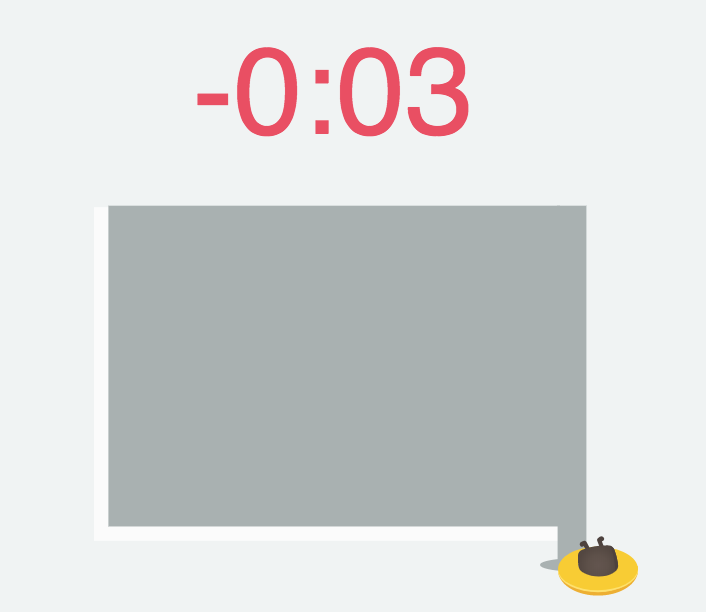 In this work mode you will race against the clock by trying to complete a task within the estimated time. As soon as you click on a task the time tracking starts and a timer starts to count down from your task duration estimate. The goal is to complete the task before the time is up. There is a visual guide that helps you to see how far along you are. The bucket slowly fills up and when it reached the top the time estimate is up. 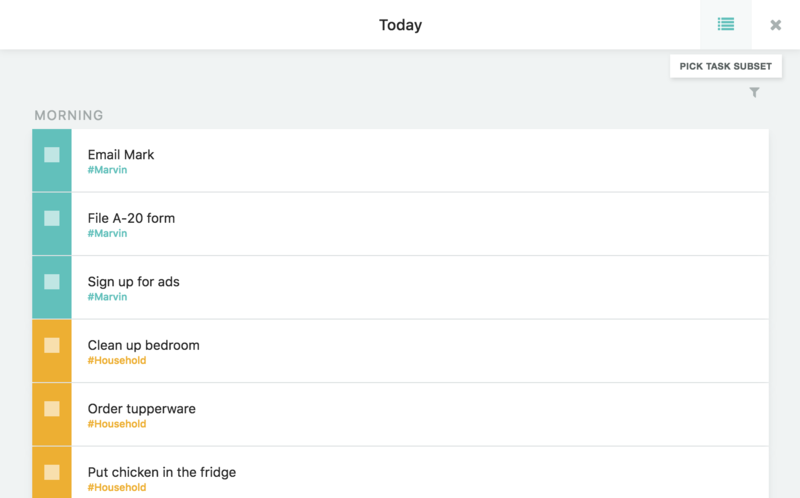 At the top right of your daily task list you will see the Beat The Clock icon that takes you to the work mode overlay. The overlay shows you your daily list by default. But you can change which list you want to work on with the button at the top right. 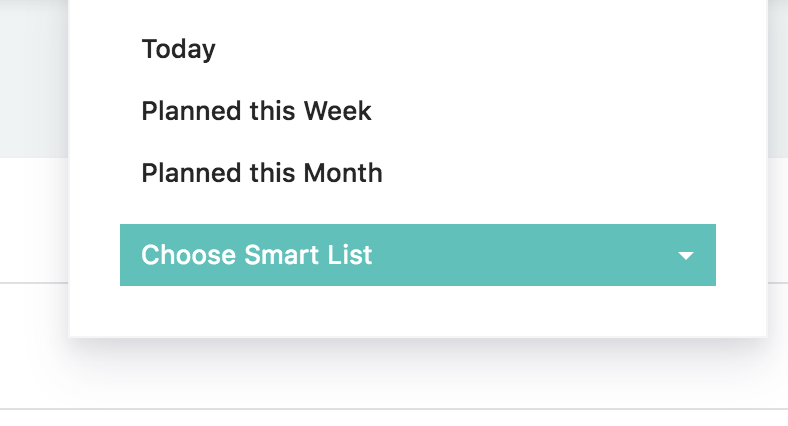 Having Smart Lists enabled lets you pick any Smart List to work on. When you are ready to work on a task, just click the task. 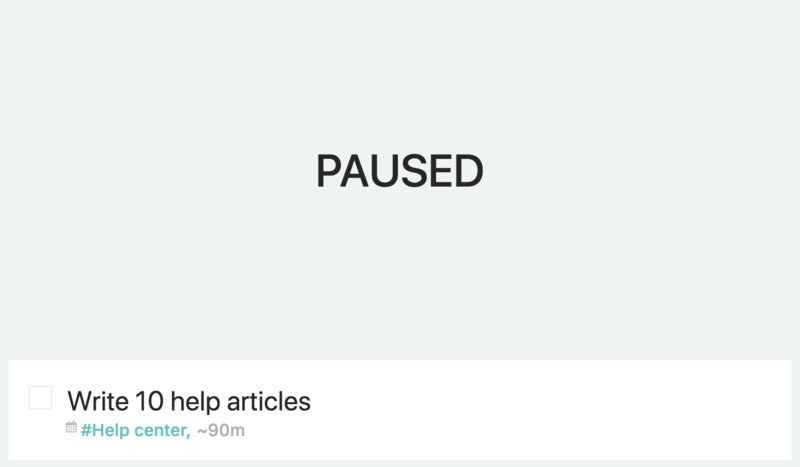 You can pause the time tracking anytime by using the pause button on the right of the task or clicking on the big visual display at the top. You resume working on the task the same way. What happens when I exceed the time I estimated? The color of the timer turns red and it starts to count up, so you can always see how long over the estimate you are.